This is for my neighbor who is celebrating his 92nd birthday. 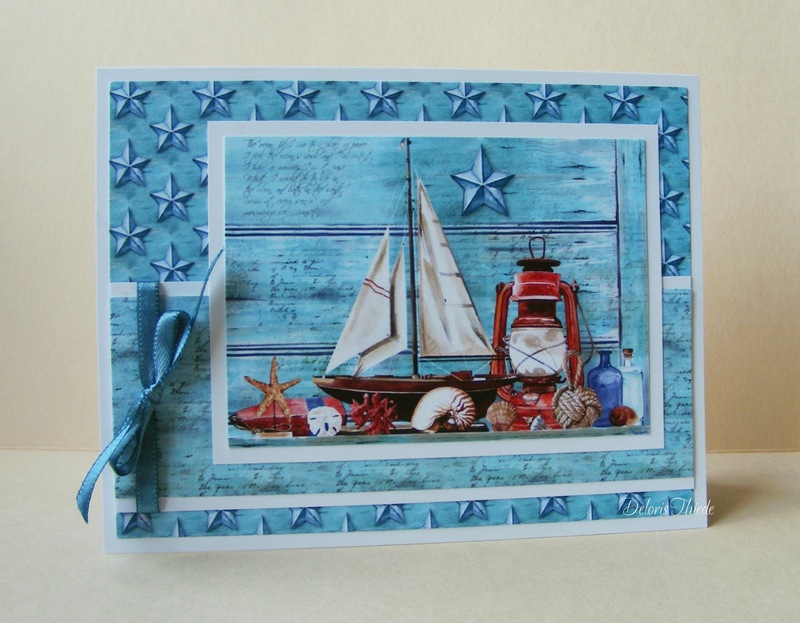 He likes nautical cards so I used a wonderful sailboat image and print papers from the Ooh La La Shawn Jenkins CD. Kept it simple with just white borders so the image and papers will pop. A fabulous card Deloris, a super masculine design. Deloris this is gorgeous and perfect for our 9th ‘ATG with CREATE WITH TLC’ challenge. Thanks for sharing your talent with us. Good luck and hope to see you play with us again.